And the first ground shaking step…awakens regret. And the abuse and the profuse excuses I was so used to I forget. Universally it’s not just me, suffering is glamorized like it was poetry. Look at Novels on Black history it’s easy to view things in retrospect, I suspect. But I still walked backwards tripping over myself, self destruction neatly packed because I do destructive things. Pride beamed inside me despite the fact that I was born in Durban actually, but lets overlook that, it’s just a slight technicality. Thinking of it now, I miss home. I don’t go back often though, only on special occasions, this time stamped as a South African citizen. It would certainly make my life easy. With my half Ndebele aunts and uncles I’d just write “from all of the above” next to Country of Origin. I wouldn’t have to launch into a recited summary of my personal history when asked, so where are you from? Issues of identity became blessings of diversity, interesting stories and a collage of poetic childhood memories. I have ancestors all over the show. There’s more, I even have heritage in Kenya apparently! I say bonjour ca va to parking guards, laugh and ask will they vote Kabila if they can get back to the DRC? Turns out my gogo is from the wrong type of Zimbo, so I hide that, and emphasise my new found Eritrean friend. In my African fantasy I stand in the shade of a Baobab tree its smell seeps through the black and protrudes through the juice of a Marula perfectly. Only thing wrong with this picture is that no one speaks ‘African’ in the restaurants I frequent, this new found revolution is recent. We’re part of a culture that sells that all is well. We have mixed race International friends but that cosmo city ends in the CBD. Fifteen minutes out of town there’s a war going on. didn’t you read the headlines of the murdered Somailians. Africans killing each other what, what next? Come on, it’s ridiculous. We don’t’ need xenophobia, what, with race, class, issues and HIV we can sustain our hate for each other for at least another century. It’s a fear of what we don’t understand mentality it has to stop! Shouting proudly African silently, because I don’t want to be teased that I’m from upper campus. Running, panting, ten years later after pass laws holding my green ID book up. I want to stop, pause, sink my bare feet into red African soil. Trace my blood line with my big toe, create a map no matter how far back, of my people, and find my roots so I can stand. Dream of an Africa I claim as mine, I will fight for this continent with fierce pride because it is only I that stands between my Africa and me. Here I sit in Sydney, Australia listening to this amazing piece of African poetry. Inspirational young poet, your reading was so inspiring, I will seek out more. It’s very impressive your consciousness of an African identity, that goes Beyond nation, state and race. Poignant and thought provoking! Well done Kgosi! Shakespeare’s Much Ado About Nothing, directed by Fred Abrehemse. She then went on to do Tall Horse with The Handspring Puppet Company, which opened at The Baxter Theatre in Cape Town 2005, before touring to the Theatre de Welt Festival in Stuttgart Germany, followed by an eight state American tour at various prestigious venues, from the Brooklyn Academy of Music in New York to The Kennedy Centre in Washington DC. In the same year, she joined The Mother Tongue Project who collaborated with members of the Darling community to workshop and produce Breathing Space for the Darling Festival. On her return from Darling she staged her first production, By word of Mouth- A night of Lace and Petals which combines dance, music, poetry and theatrical aspects to tell a story featuring Rite 2 Speak. She is one of the members of Rite 2 Speak, a female poetry collective that addresses identity in contemporary South Africa. They have performed at prestigious events ranging from National Women’s Day 2008 to Heritage Day in Portugal and Urban Voices Festival 2009. 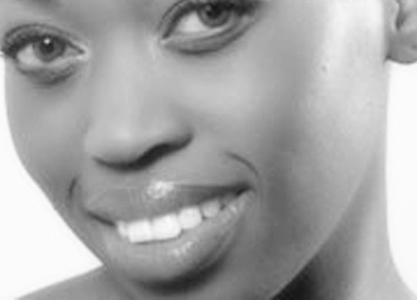 Mbali played the lead of Electra in Yael Farber’s Molora which opened in Yokohama, Japan 2006. She was recruited as one of four writers / adapters to develop two productions for the London/South Africa based company Portobello productions. The writing team, directed by Mark Donford-May, adapted A Magic Flute – Impempe Yomlingo and it went on to win the 2008 Laurence Olivier Award for Best New Musical Revival. Mbali was awarded a writing residency on the island of Sylt, Germany to develop her autobiographical novel, which formed the basis for her one-woman show, which was then produced by The Mother Tongue Project entitled Tseleng The Baggage of Bags written and performed by Mbali and directed by Sara Matchett. It won the ovation award at The National Grahamstown festival 2010. Mbali was invited to participate in Poetry workshops hosted by Badilisha Poetry X-change featuring internationally acclaimed poets and selected to participate in a two-week workshop with internationally acclaimed poet, Stacey Ann Chin where they investigated themes of the self and the body. She recently played the character of a modern day Medea in award winning playwright and human rights activist, Ariel Dorfman’s Purgatorio, at a play reading hosted by the Baxter Theatre. Mbali continues to write and perform poetry and is working on her first novel.